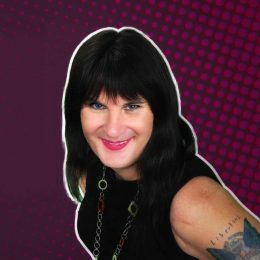 Transgender TV presenter Sophie Cook hopes to be chosen as the Labour Party candidate for Brighton Kemptown in the general election. The Latest TV presenter said: “With the unexpected decision by Theresa May to call a snap general election and the decision of Nancy Platts not to stand in Kemptown, I feel that the time is right for me to put my name forward to be the Labour candidate. “Over the past two years since I came out as transgender I have been on the most amazing journey which has led me to this point. “From my days in the Royal Air Force during the 1980s I always knew that I wanted to stand for Parliament but was unable to pursue this in case I was outed as transgender. This is no longer an issue. “As an ex-newspaper editor and broadcaster as well as my experience as an inspirational speaker I know that I have the skills and belief to serve the party and constituency well. “I believe strongly in the values of equality and diversity, allowing everyone to thrive regardless of gender, sexuality, gender identity, race, religion, disability or wealth. “It was true for us and it can be true for the Labour Party. Brilliant – good luck to her! This is very interesting, but other than Sophie being transgender what can she offer the Labour Party and residents of the Kemp Town constituency? If it’s just for showing the transgender card, I don’t see this causing Simon Kirby any other candidate any sleepless nights. And I wonder what the Momentum candidates (Lloyd Russell-Moyle and Dan Yates) think of this? No problem at all with her sexual identity – in fact just the sort of challenge Parliament needs, if she can handle the prejudice – but does she really think that being the Bournemouth FC photographer will make her more popular in Brighton?